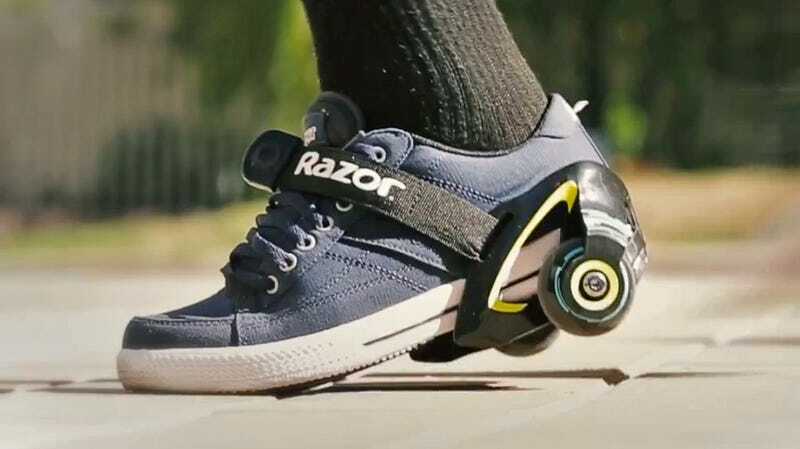 Admit it, when you see a group of kids wearing Heelys roll past you, deep down you wish there was a version for adults, right? With Razor’s new strap-on Jetts, there finally is. And they work with any pair of shoes, and any grownup weighing under 12.5 stone (80kg). That probably means some of you taller, larger folks won’t be able to use a pair of the Jetts without them breaking underfoot. But the rest of us finally have a great reason to look forward to our commute to and from work.